↑ "UNHCR - Refugees". 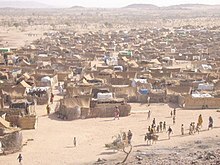 unhcr.org. 2012. Retrieved 5 June 2012. ↑ "USCIS - Asylee". uscis.gov. 2012. Retrieved 5 June 2012. Wikimedia Commons has media related to Refugees. This page was last changed on 17 February 2017, at 04:24.